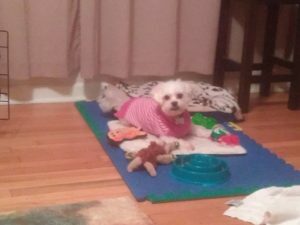 Duffy is a 10-year-old male Maltese who came to Last Hope Animal Rescue after living his entire life in a puppy mill. 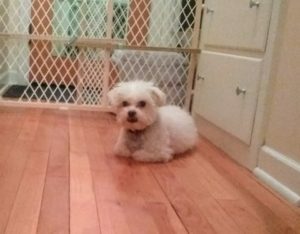 While we do not know the exact conditions of the puppy mill, Duffy’s physical condition indicated that he was poorly cared for. When he arrived in our care, he had ear infections in both ears, matted hair, overgrown nails, and horrible teeth. 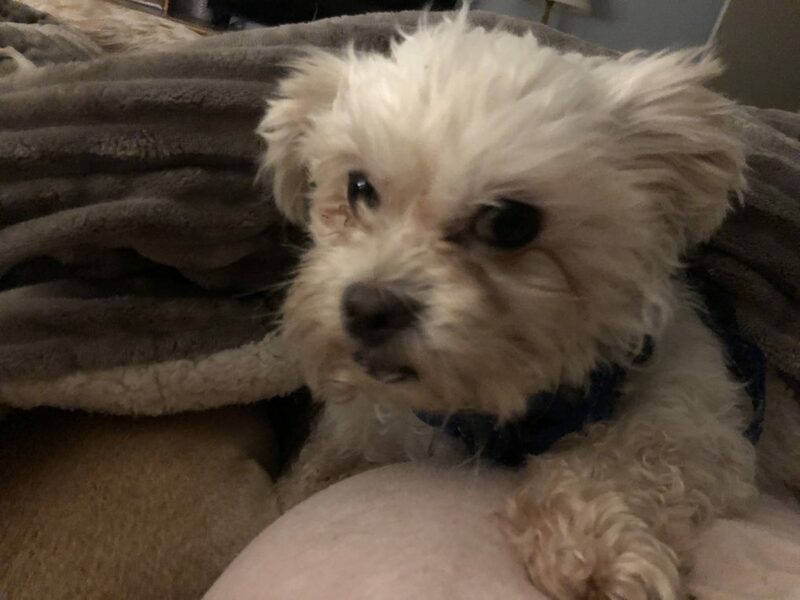 After a groom, dental cleaning, and ear medication, his physical comfort improved greatly, so we then focused on his emotional recovery from years of neglect. Initially, Duffy did not know how to be a dog and was terrified of people. At his foster home, he only felt safe when in his crate, only leaving to potty. 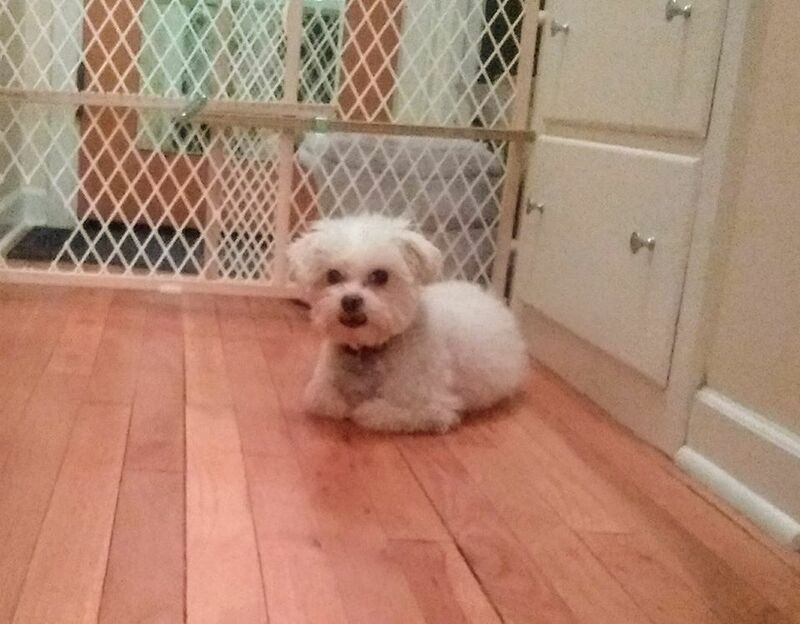 Outside of his crate, he would hide behind the resident dog and flee any approaching human. He was in a constant state of panic around people and would never relax in their presence; if someone even touched him, every muscle in his body would tense up. 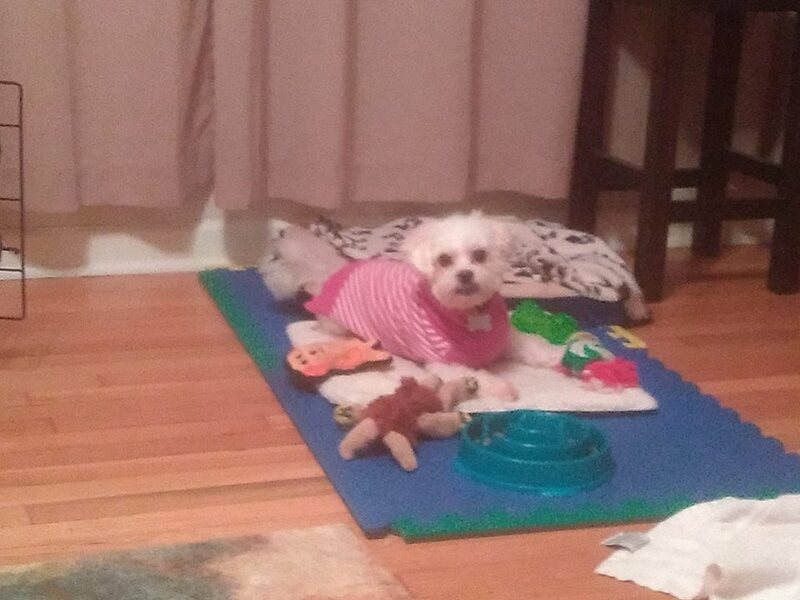 Duffy has made great strides in adjusting to home life and people. He is now using a dog bed instead of a crate and will walk throughout the house on his own. He enjoys exploring the yard, following the resident dog around, and collecting socks from the floor to bring back to his bed. He has a great nose for sniffing out goodies in the yard or house and loves treats. Toys and play are just beginning to interest him too. Duffy is now comfortable in the presence of familiar people, will approach people for treats, and interact with cats and new dogs. Duffy will likely continue to make progress, but he will probably never be completely at ease with people. To help him be comfortable and continue learning how to be a dog, he will need to be in a home with at least one other confident dog. He does not like being handled or picked up, so will need to have a calm household, with adults who are patient and respectful of his needs. Since he prefers not to go on leashed walks, a fenced in back yard is a must. He pees and poops outside for the most part, but does have accidents in the house if left outside of his crate for a long period of time. He will need an observant owner who can recognize the signs that he needs to go outside. Duffy’s adoption fee is $200 which includes neuter surgery, being up to date on vaccinations, a microchip with lifetime registration, and a free obedience class. If you have the right home for adorable Duffy, please complete an application HERE or email adoptions@adopthope.org.